For some of us, the main reason we keep exercising is tracking our progress. To see the numbers increase. There are countless running apps available, with varying prices and functionality, all trying to motivate you to stick with it. There are two main aspects to tracking; during your run, and viewing long term progress. At the very bottom of the functionality spectrum, we have Google Fit (Android, PC), Google's attractive, if simple, foray into the health tracking market. Whilst it doesn't provide any information during the run, the long term tracking more than makes up for it. We previously covered the app, and found it excellent for monitoring all aspects of an active life. Towards the top of the spectrum there's one of the older apps around, RunKeeper (Android, iOS, PC). One of the main selling points of the app is the ability to receive audio updates on your run progress. For example, the app can be configured to inform you of your distance travelled and average speed every 5 minutes. This helps ensure you are always aware of your progress, and can pick up the pace if necessary. The marmite (hate it or love it!) 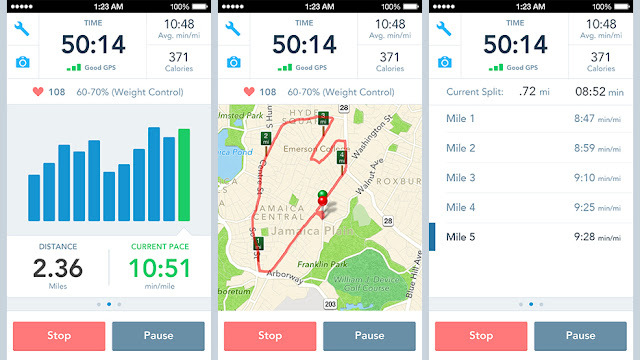 aspect of RunKeeper is the integrated social network. For those of us who live to impress, the ability to let our active friends know about our progress will help us stay focused. On the other hand being prompted to share every run, even after disabling as much of the social functionality as possible, can be irritating. It has the standard achievement offerings, and is fairly customisable. Unfortunately, and this is the big kicker, most of the stat tracking functionality is locked behind their premium account ($9.99/mo or $39.99/year). It can be incredibly frustrating to know all kind of statistics about your activities are being tracked, and you don't have access to them. Additionally, I found the GPS tracking to be fairly unreliable, sometimes insisting I had spent a few minutes running 30mph+ in random directions when in fact a straight line had been travelled. This often threw off my average speeds, and made true tracking impossible. Finally, we have Zombies, Run! (Android, iOS). 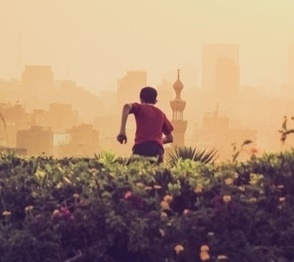 This app takes another approach to motivation, by simulating zombies chasing you. Whilst this initially sounds gimmicky, the audio stories are fairly captivating, and provide a bit of extra entertainment if running gets a bit dull. Unfortunately, and this isn't going to be true for everyone, I find listening to anything more complex than music to be detrimentally distracting. I couldn't focus on the running or the story enough, leading to a slight sense of confusion. Whilst out on your "gathering missions" (runs), various supplies such as fuel and clothing will be found. These can then be used to upgrade the in-app base. Unfortunately, the base building mechanic is fairly simple and yet not very intuitive, meaning all of the supply gathering feels rather pointless. However, all of the negatives mentioned aren't a universal problem, and will instead vary from person to person. In summary, there is no "best running app". It depends entirely on your personal preference. However, when first starting out, the more intensive apps (such as RunKeeper) can be excellent in providing motivation. Once running is a habit, a more hands-off and automatic app (such as Google Fit) is often more desirable for ease of use and reliability.